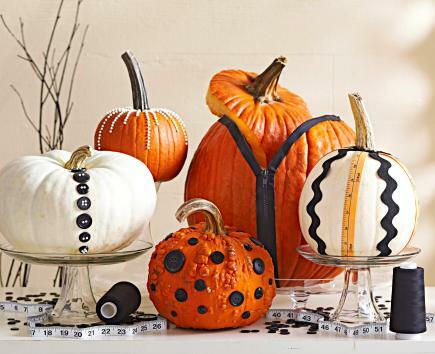 These pumpkins recently appeared in Midwest Living magazine under the title "Sew Fun Pumpkins". This morning while thrifting, I came across a 10 cent trouser zipper. A metal zipper that was originally 35 cents, still in the packaging. It was copyrighted in 1958. 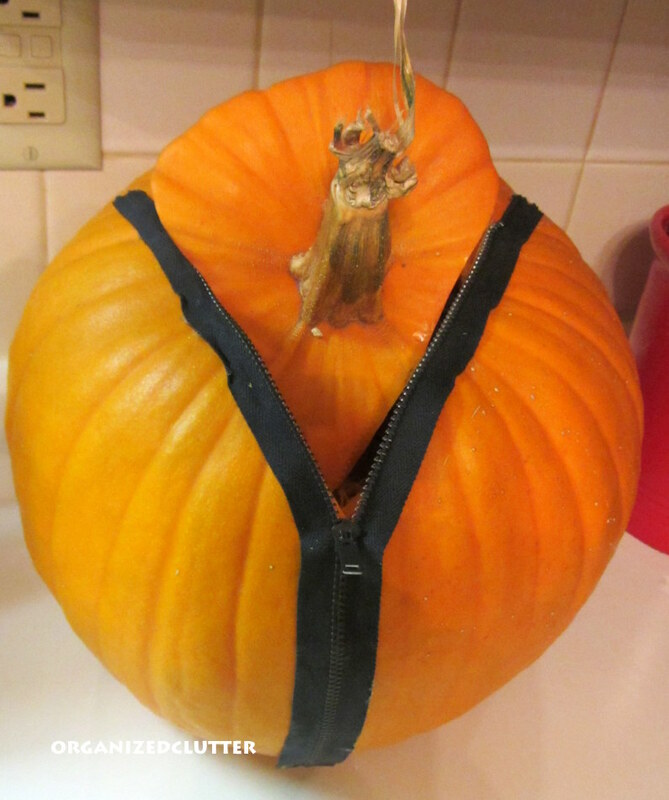 So with the cheap zipper, I decided to try a copycat of the Midwest Living Magazine's pumpkins. I didn't have the clear glass cake plates, so I used a snuff jar and crockery bowl as stands. I had plenty of black buttons, some black threads and a vintage cloth tape measure that was my Grandma's. There wasn't enough space for 2 large and 3 medium pumpkins, but hindsight says I should have tried to copy the branches. Joining Rebecca for Meet Me Monday. I love them! You did a great job! So cute! Love the vintage feel of your vignette better! Adorable. Really enJOYed the zipper idea. Cute and a great copycat! I would love to try this, maybe next year! The zipper one is the one I thought was the most fun. I love your copycat project! This is brilliant! 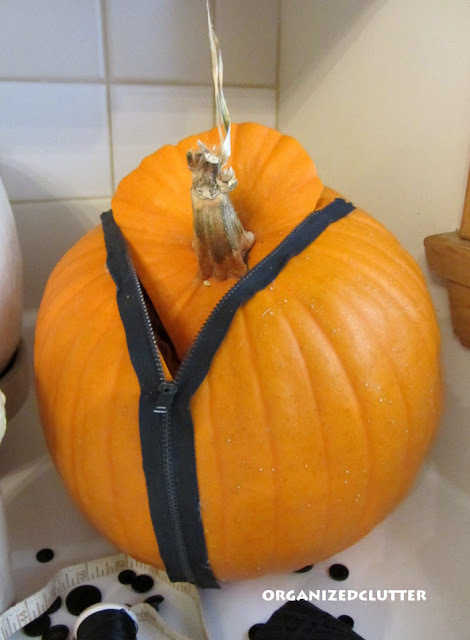 Such a unique way to decorate pumpkins. I hope you will stop by and link this up to my Wickedly Creative Halloween Ideas Party if you haven't already. The pumpkin with the zipper looks like me after Thanksgiving dinner!! These are so cute! I love the idea of using a zipper. How cute and would be such a fun decoration for sewing room. I love your pumpkins, Carlene!! They are SEW much fun!! So, so cute! What an imagination you have! The zipper one is my fav. . . So cute~ love the zipper! 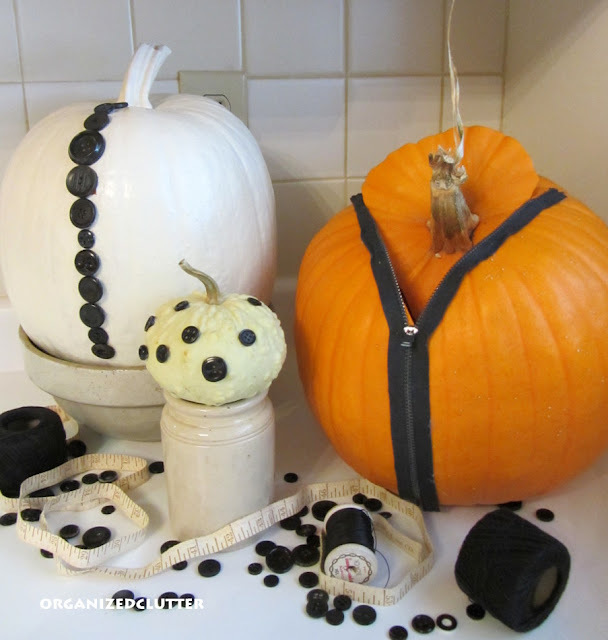 Love,love,love the zipper pumpkin! All are too cute!! 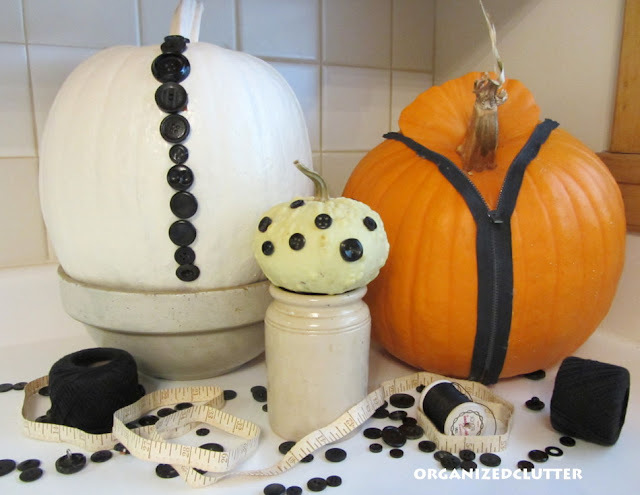 I featured your pumpkins in my pumpkin roundup today. Love them!